Latest Rackets Launched by Yonex in Year 2017 | Khelmart.org | It's all about Sports. Yonex launched 2 new rackets in Year 2017 .i.e. 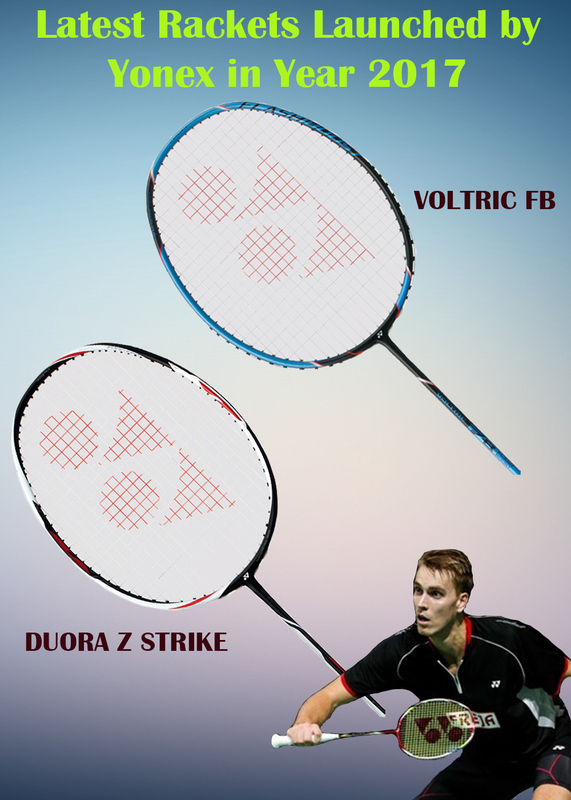 Yonex Voltric FB and Yonex Duora Z Strike. In this Blog we shall explain the details of new rackets launched. Further, to improve the control and to reduce the vibrations, Yonex first time used the damping device at upper part of racket frame. This new feature reduce the racket vibration happened due to shuttle impact and offer a soft feel to player. With this, player can effectively & accurately place the controlled shots. Duora Series in endorsed by lee chong wei and with this series rackets, many professional player achieved next level of game player in terms of power and control. Duora series is revolutionary concept developed by Yonex japan in which two side of racket frame is made of two different material with two different cross section to obtain different characteristics. .i.e. One side of the frame (Forehand Side) , is made with Box type of frame and with Nanometer DR material. This type of material and frame section offers good power and good shuttle hold. Second side of the frame (backhand Side), is made with aero type of frame and with NO TI fiber material. This type of frame section and material offers high stiffness and quick repulsion. 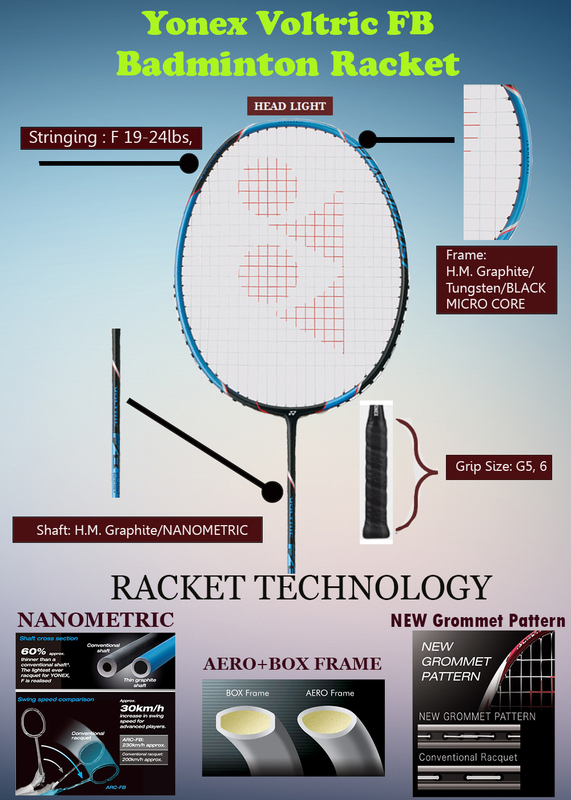 This type of concept is first time used in racket by Yonex where racket frame is made with composition of two materials and two different sections. Yonex duora Z Strike is latest 2017 launched by Yonex equipped with developed with Duora concept and developed to boost the power and repulsion. It is a unique combination of power and control. Yonex Duora Z Strike is available in two different grip sizes .i.e G4 and G5. This racket is manufacturing with HM Graphite and Nanometric material. Following are the key technologies DUAL OPTIMUM SYSTEM, Extra Slim Shaft, NANOMETRIC™, and NANOMETRIC. 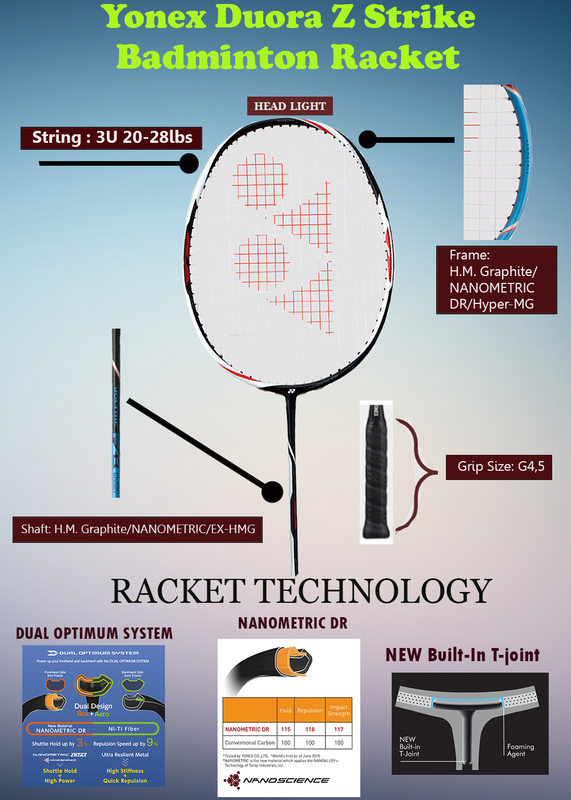 This entry was posted in Badminton and tagged Images of Latest Rackets Launched by Yonex in Year 2017, Latest Rackets Launched by Yonex in Year 2017, Specification of Latest Rackets Launched by Yonex in Year 2017, Technology of Latest Rackets Launched by Yonex in Year 2017. Bookmark the permalink.